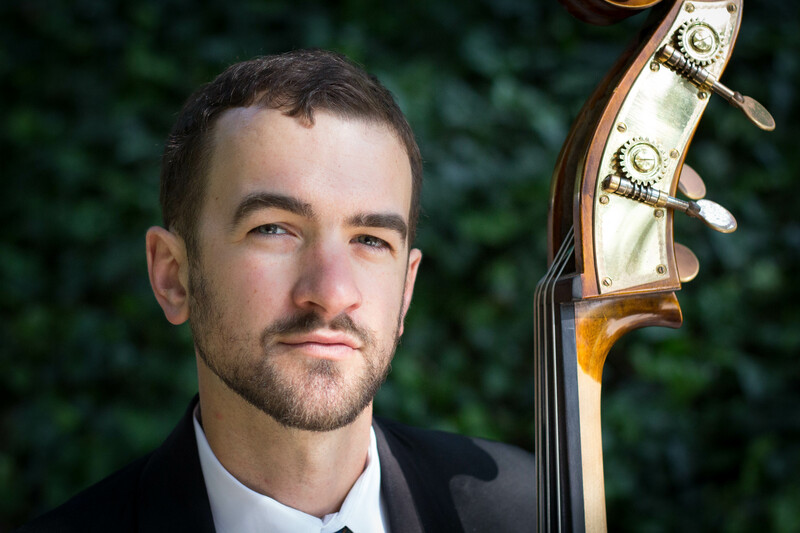 Bassist Chris Bastian is a California native who has lived and worked as a musician in Oakland, Los Angeles, New York City, Quito, Ecuador, and Santiago de Chile. He has performed with a variety of ensembles in a wide range of musical traditions including jazz, opera, blues, flamenco, Jewish music, huayno, soul, and Afrobeat,. He has performed at Radio City Music Hall, Herbst Theater, Studio 54, Yoshi’s, and Ars Nova and has had the honor to share the stage with Babá Ken Okulolo, Kenny Burrell, Kalil Wilson, Dee Dee Bridgewater, and Il Volo, among others. In addition to his versatility on double, electric, and keybass, Chris also plays accordion and keyboards. He is interested in the way people collaborate and the intersection of diverse forms of artistic expression.